7 Mondays from 25th March 2019 to 6th May 2019. As young working adults, it can often be a struggle to integrate our Catholic faith with our busy lives, or share it with our partners and friends. Some of us may even have given up trying, believing that our pursuit for success and fulfilment is something that exists apart from Christ and the Church. And yet, we may still have a desire to know Christ more deeply or bring Him to our loved ones . As St Augustine says, the Lord has made us for himself and our hearts are restless until they rest in Him. 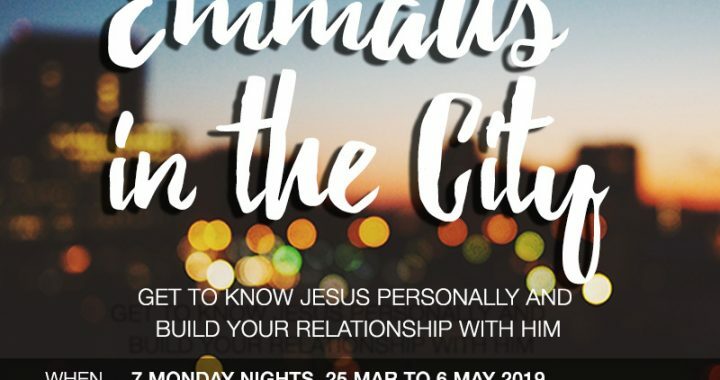 If the above resonates with you, or if there’s someone you have in mind who would benefit from this experience, come join us on our third edition of Emmaus in the City! Sign-up here: HERE.